Back Mountain Backs - Ten Years in Tunkhannock! Can you believe it's been ten years since we opened the doors of our Tunkhannock office? In that time we are proud to have become part of a great community and cherish all the relationships that we have developed over the years. By letting us help you, you have helped us and we want to say thanks! We look forward to sharing many more years of health and happiness ahead! Summer arrived and never left! We're also celebrating the tenth anniversay of working with Summer Traver. We're grateful for all that she has done over the years that has impacted our success.Thanks Summer! 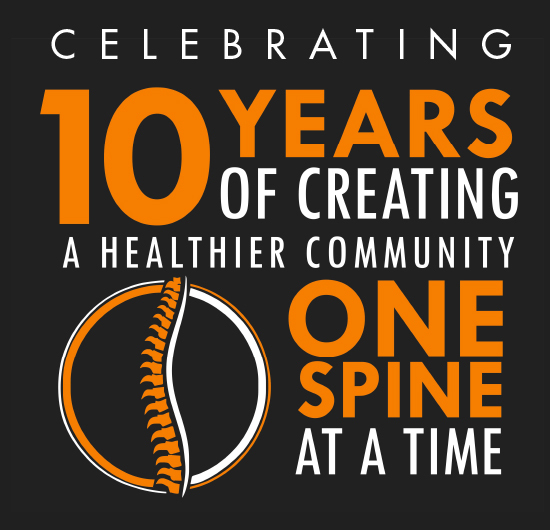 We're celebrating our Ten year anniversary by giving away some Tunkhannock Chiro Gear. Stop by for a free water bottle to fill up with your favorite healthy drink! Join our community of like minds that have a passion for a healthy lifestyle. 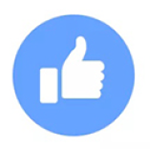 By being a fan on facebook learn about health tips, product specials, events and more. Mouse over text to pause. "I saw Dr. Barnard when I strained my lower back. I was unable to bend down for four days. It hurt to go to bed and get up and sitting and crossing my legs was extremely painful. Dr. B adjusted me on Wednesday and Thursday and I was 95% back to me and moving. I enjoy the excellent care, flexibility, staff and affordability that the office provides." 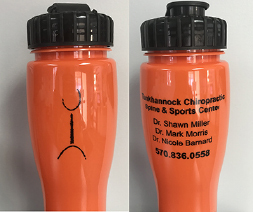 I see Brandi at the Tunkhannock office for burning in my shoulder, neck, arms and hands. Since beginning massage treatments, the burning has really decreased and relief lasts for days. Massage is much better than injections and medicine. My sleep is better which is such a blessing. I enjoy how the office staff is pleasant, caring and professional." Ken comes to the office for adjustments and rehab with Dr. Barnard and therapeutic massages with Brandi. He began coming with the office for a pinched nerve in his neck, causing neck and shoulder pain. "(My treatments) greatly reduced the neck and shoulder discomfort and loosened the muscle stiffness which helped my sleep and basic movement." Ken enjoys the friendly and timely staff, ease of getting appointments and little waiting before the doctor is ready to see him. Carol started seeing Dr. Miller for pulled muscles in her left leg - result of moving furniture for new rugs. "(My) right leg muscles are fine and dandy - working like they have before moving furniture." When she comes to the office, she enjoys Dr. Miller working his magic and everyone is fun as well as efficient. Whitney started seeing Dr. Barnard for back pain. “I had 4 years of undiagnosed back pain. I chose to see Dr. Barnard to treat me after being diagnosed with facet syndrome by my doctor. Prior to my treatment I could not sit or stand longer than 25 - 30 minutes at a time. Now I have no problems with either! To say I am in love with this office is an understatement. The staff is helpful, kind and funny. My level of relief is worth a million bucks!!" "Donalynn began coming to the office because she was unable to move her right arm without severe, radiating pain down her arm and shoulder blade. Her fingers on her right hand were numb and she couldn't find a comfortable position to stop he pain. "Currently I have no pain in my right arm, the feeling was returned in my fingers, I was able to return to my job as a home health therapist and busy mom." When Donalynn comes to the office to get adjusted by Dr. Miller and massaged by Brandi, she enjoys the pleasant staff and the ease of rescheduling a visit. "As I recently started seeing Dr. Miller for regular chiropractic treatments, aside from the regular increase in vitality and general good feeling, I noticed that a continuing chronic soreness in my tail bone area completely disappeared. 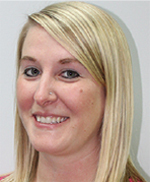 I am highly impressed with Dr. Miller’s general professionalism, office staff and in office experience." "Dr. Morris saved me from a C-Section! My difficult boy was breach and with adjustments he turned the right way ! (TWICE!!). So not only is my back pain free for the first time in 15 years he saved me from surgery too !" 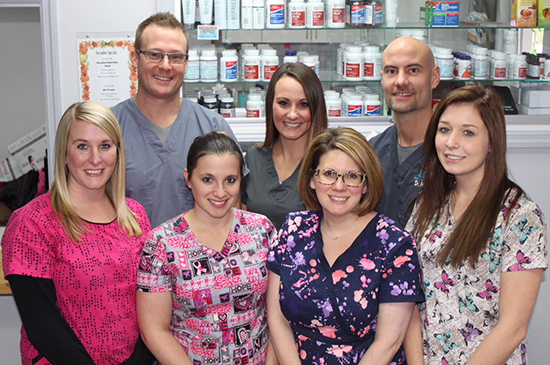 "Dr. Morris and Dr. Miller at Back Mountain Backs recommended, 'Now'-Joint Support Cream. It reliably reduced my Plantar Fasciitis pain in my feet! You have to faithfully appy it ( I do at night) for it to work. After showering I massage it on my feet. Afterwards, I put on a pair of socks so the heat from the 'capsacin' penetrates. It Definitely Works!" "I suffer from migraine headaches, neck and shoulder pain. Since I've been coming to Dr. Miller and Dr. Morris I've had a lot less migraines. I was in constant pain in my neck and between my shoulders. Now I feel like a new person." "I have been seeing the doctors for a long time, they are the only doctors that has been able to relieve my pain in my back and lower legs. The gentle treatments have helped me more that you can imagine. Since going to Dr. Morris and going through my painless treatments they have made my life much easier to deal with. I would recommend Chiropractic and Rehab to all people who need any minor or extensive pain free chiropractic work." "I began with some limit to range of motion in my left shoulder. I thought it was bursitis but as it persisted I asked Dr. Morris and Dr. Miller to explore it. Turns out I inhibited my ability to use my left arm freely. After working with Dr. Morris, Dr. Miller and exercise physiologist Casey Miller, I have more movement and less distress. With the specific tissue work and stretches I can use my arm more freely and sleep without throbbing pain in my shoulder. I highly recommend Dr. Morris and Dr. Miller and the well trained and pleasant staff at Chiropractic and Rehab." "After suffering for years with chronic back pain I decided to try Chiropractic care. My treatments with Dr. Miller and Dr. Morris have allowed me to enjoy life without worrying about back pain. Their office is clean, comfortable and the office staff is very friendly. I recommend their services to all my friends and family." "I would recommend Back Mountain Backs without reservation. They have given me my life back. Their custom treatment plan of spinal adjustment, muscle manipulation, and exercises have alleviated the spinal discomfort and tension headaches I have had daily for the past 16 years. Dr. Miller and his staff truly care and going to Back Mountain Backs may be the best decision I have ever made." If you are considering treatment for a spinal or sports-related injury, contact Dr. Miller and Dr. Morris today. To access our contact form, Click here. For your convenience, you can fill out patient information before coming into the office. Just click on the link below.